What is the difference between a will and a trust? Our attorneys hear this question every day. Joe Piatchek breaks down the differences in this short video. Let us start by saying that the best way to answer this question is in person, because determining whether you should create a will or a trust is a case-by-case type of question. That said, there are several things that we look at before recommending a client use a last will and testament or a revocable living trust. First and most importantly, we consider whether the client wants to avoid probate. Next, we consider the size and scope of the assets involved. Finally, we consider how complicated the client’s wishes are, and thus how complicated their overall plan will be. Although there are many differences between wills and trusts, the biggest difference is that wills do not avoid probate, while the purpose of a revocable living trust is to avoid probate. Probate is what happens when someone passes away with assets still titled in their own name. These assets, which are “stuck” in the deceased person’s name after their death, usually must go through probate. The probate process gets the property “unstuck” – out of the name of the decedent and into the name of their heirs. Our attorneys repeat the following statement almost every day to our new clients: A will does not avoid probate. A will actually directs the probate process, and it is only given effect if it is admitted into evidence in a probate court. A will simply gives the creator the opportunity to name a personal representative (the executor) and name beneficiaries, regarding any property that is still in their name after their death. A will does not re-title the item in such a way that it is no longer in the deceased’s name following their death. 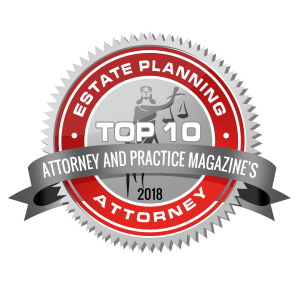 However, there are other estate planning methods that can be used to accomplish re-titling and thus avoid probate, such as revocable living trusts, payable-on-death designation, transfer-on-death designation, and other non-probate transfers. For example, if you were to title those same items into the name of a revocable living trust, the items would avoid probate, because they would not be “stuck” in the name of the decedent after his or her death. Instead, they would be titled into the name of the trust. If a client wants to avoid probate, we do not recommend a will alone and will likely recommend additional estate planning tools, like a revocable living trust. As a very general rule, the less assets you have and the less complex your estate plan is, the more likely it is that a simple last will and testament will be sufficient. Conversely, the more assets you have and the more complex your situation, the more likely it is that a revocable living trust will make sense. For example, if a client owns a minimal number of assets, a simple will may suffice. Alternatively, if a client has several parcels of real estate in multiple states or counties, owns one or more businesses, has multiple loans on which they are paying, has loans that are being paid back to them, and owns a myriad of financial accounts, we would not likely recommend a simple will. 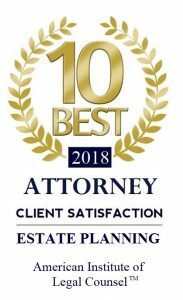 At the very least, we would recommend a revocable living trust to allow the client to centralize management of the assets into the trust and to avoid probate. As you can see, deciding whether to create a will or a trust is a very important decision with far-reaching consequences. 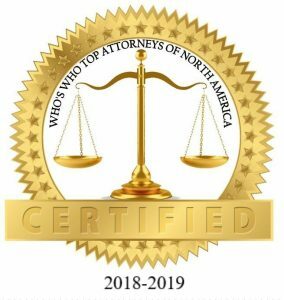 For help, contact the Piatchek Law Firm today by calling 417-882-5858.